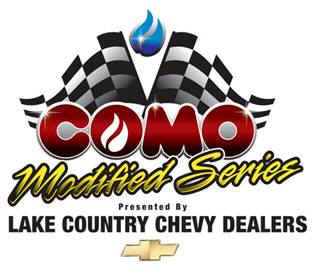 Duluth, MN – 6/18/09 - The Como Modified Series presented by the Lake Country Chevrolet Dealers is pleased to announce that RACEMN.com – Minnesota Race Radio, On Demand, has joined the series as the sponsor of the Pole Dash for Cash. The RACEMN.com Pole Dash will include a $200 cash prize to the winner, $100 cash to 2nd place, and a $100 Gift Certificate for XR Premium Racing Apparel to 3rd Place. The RACEMN.com Pole Dash consists of the winners of each heat racing for the top position to determine the line up in the feature event at every Como Modified series race. RACEMN.com, a website owned and operated by X.CELERATED, is a website dedicated to the promotion of motorsports in the State of Minnesota. “Minnesota Race Radio, On Demand” includes downloadable podcast interviews from a bevy of racing personalities in and around the state. All content on RACEMN.com is free. The winner of the first RACEMN.com Pole Dash at Proctor Speedway on May 25, 2009 was the 7J of Rick Jacobson of Wilton, MN, who went on to finish the feature race in the 3rd position. Rounding out the field for the Dash were the 57 of Mike Anderson, 44 Darrell Nelson, 63 Rick Kobs, 45 Bob Broking, and 29A Tim Alexander. Como Oil & Propane is a full-service heating fuel supplier providing propane, oil and related services to Northland customers. The company has nine local offices in Duluth, Barnum, Two Harbors, Hibbing, Grand Marais, Tower, Ashland, Cable and Minong. For more information, please visit www.comooilandpropane.com. Bills Diesel Repair, Black Bear Casino, Construction Services, Inc. Send mail to hracer@midwest.net with questions or comments about this web site.